After purchasing sohuuWebcash, if you did not receive an unlock code within 24 hour, please check your Spam, Junk email folder for emails from sohuuWeb. Thank you. If you decide to earn money by joining cashfiesta.com, please let sohuuwebcash be your companion. Sohuuwebcash is an essential tool to help you earn cash online automatically at cashfiesta.com. Sohuuwebcash monitors the Cashfiesta boy for you, to make sure he never stops walking. He may stop walking, meaning your point, your cash stops counting. ... meaning your point, your cash never stops counting. As low as 15 USD. Free life-time upgrade to all further version. sohuuWebcash 8 is free from virus. -Run on virtual computer/machine, virtual desktop; this gives you the ability to run many Cashfiesta & sohuuWebcash accounts at the same time on a single computer. If you could earn 50 USD per month on one Cashfiesta account, now using virtual computers/machines or virtual desktops you would easily earn 150 USD per month by running 3 Cashfiesta & sohuuWebcash accounts at the same time on a single computer. -Run at the same time with other application which captures the mouse cursor within its own screen/window [Usually it's a gaming application; when you run such an application, the mouse cursor's movement will be limited within the screen/window area of that application]. ...In other words, now you have the ability to run cashfiesta & sohuuWebcash while playing games. Sohuuwebcash does not contain virus/malware, of any kind. Our fun is not to give you virus/malware, but to prove our technology could do it better for you than our competitors' could. 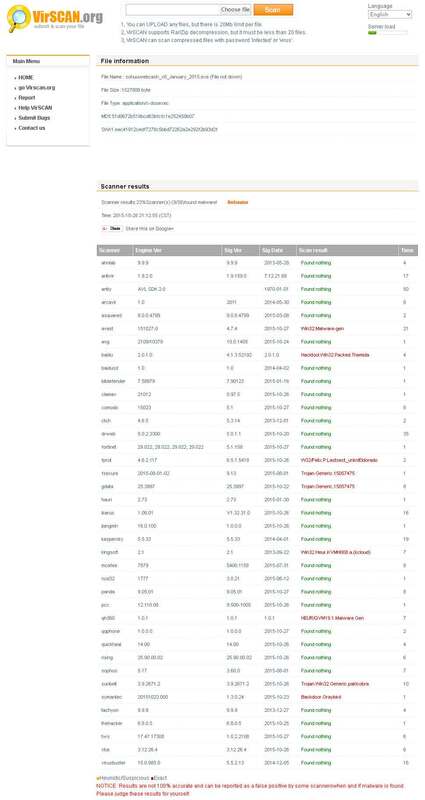 Please click here if you wish to see a screenshot showing the result of scanning sohuuwebcash for virus/malware at virscan.org. Or, you may check sohuuwebcash for virus/malware by yourself with this online multi-engine antivirus scanners. Sohuuwebcash is scanned by 48 antivirus scanners, and only 9 of them classify sohuuwebcash as a virus/malware. Please see this article to better understand why some antivirus engines incorrectly specify sohuuwebcash as a virus/malware.